In this hands-on webcast, Scott Davis (author/presenter of "Architecture of the MEAN Stack") will give a code-first example of using MongoDB, ExpressJS, AngularJS, and NodeJS together to build modern, 21st century web applications. You'll also get a heaping dose of modern web development build tools, supporting libraries, and best practices. No specific experience with these technologies is required, but a general background in web development will help you get the most out of this presentation. Scott Davis is the founder of ThirstyHead.com, a training and consulting company that that specializes in leading-edge technology solutions like HTML 5, mobile development, Node.js, SmartTV development, web mapping, NoSQL, Groovy, and Grails. 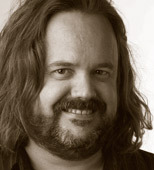 Scott co-founded the HTML5 Denver User Group in 2011. Scott has been writing about web development for over 10 years. His books include Getting Started with Grails, Groovy Recipes, GIS for Web Developers, The Google Maps API: Adding Where to Your Web Applications, and JBoss at Work. Scott is also the author of two popular article series at IBM developerWorks — Mastering Grails and Practically Groovy.